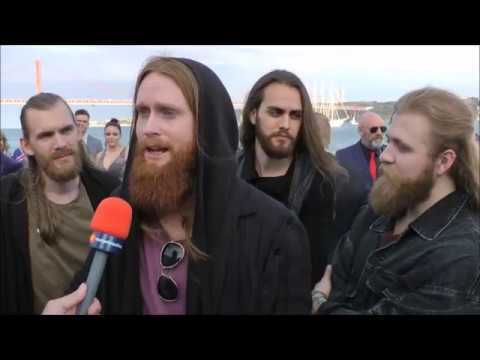 With a lot of Viking power the Danish singer Rasmussen could conquer the televoters and jury in the Gigantium in Aalborg. The Danish nation final “Melodi Grand Prix” has been another highlight in the pre-Eurovision phase. Out of ten entries Rasmussen received the highest encouragement with his song “Higher Ground”. He is going to represent Denmark in the 63rd edition of the Eurovision Song Contest in Lisbon. Jonas Flodager Rasmussen was born in Viborg (Jütland) in 1985. He studied music and dramaturgy at the University of Aarhus. Beside of his engagement in the coverband Hair Metal Heröes, he gained valuable experiences in musicals such as West Side Story, Les Miserables, Rent and many more. Rasmussen is quite a new face in Denmark, the more exciting it will be to see how he does in Lisbon. The song “Higher Ground” is an epic entry. The melody is stunning with a lot of seafarer romance and Viking style. The story behind the song is the legend of Magnus Erlendsson, who denied to fight a battle in the year of 1098 in the Anglesey Sound. It is wiser to solve conflicts peacefully instead of fighting – a noble goal. With Rasmussen look it almost seems to be an authentic entry, but it completely falls out of time. Maybe the maritime stage in Lisbon and the seafarer theme will help to make this entry shine, but it will only appeal to special interest group. The composers are the same, who wrote the Swedish entry 2010 for Anna Bergendahl, who could not make it into the Grand Final. The very first Danish entry in 1957 was called “Skibet Skal Sejle I Nat”and sung by Birthe Wilke and Gustav Winckler. Denmark achieved a fantastic 3rd place immediately. So this year it will be the 47th time for Denmark in the Eurovision Song Contest. There has been a big gap in the participation from 1966 to 1978. Denmark has paused because of a lack of public interest, luckily these days are gone and the great enthusiasm has returned to the Danish homes! In all that years, Denmark could reach the Grand Final for 42 times, which is a quite good average chance of 67%. 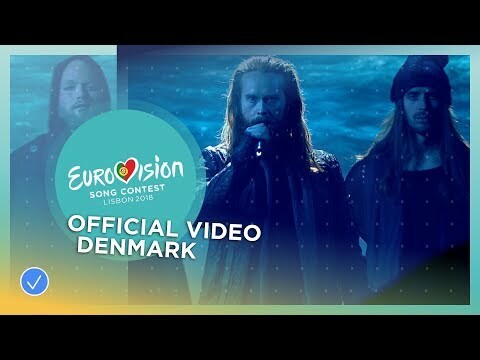 In former years when it was only allowed to sing in the native languages, so this might have been seen as a disadvantage for Danish entries – and also entries of other countries of course. That's why the Danes were so eager to compensate the language disadvantage with good and happy compositions. So the “Scandinavian Happy Song” was born. The "Happy Scandinavian song" has been dominating in the 80's and 90's, which has also been used in Norway, Sweden and other countries. Nowadays all Danish entries are being sung in English and the style has changed, there were very contemporary songs in the past years. The statistics say that the chance to reach a Top10 position for Denmark is at 53%, so not too bad. It has often been said that the Danes give all their points to the other Nordic countries and vice versa. But this is a quite natural phenomenon, as the music taste is similar and singers are well known in the neighbour countries, like in the Balkan region, the ex-Soviet countries and in the Mediterranean. The Danes were number one for three times. This meant a lot to the Eurovision enthusiastic Danes. The ESC in Copenhagen 2014 has set a new standard of stage design and effort. This was the far most outraging stage which has even been seen at Eurovision so far. 2018-02-10 - Danish Melodi Grand Prix tonight!